Can I ask you Singaporeans (or those who’ve been to Singapore) a question? 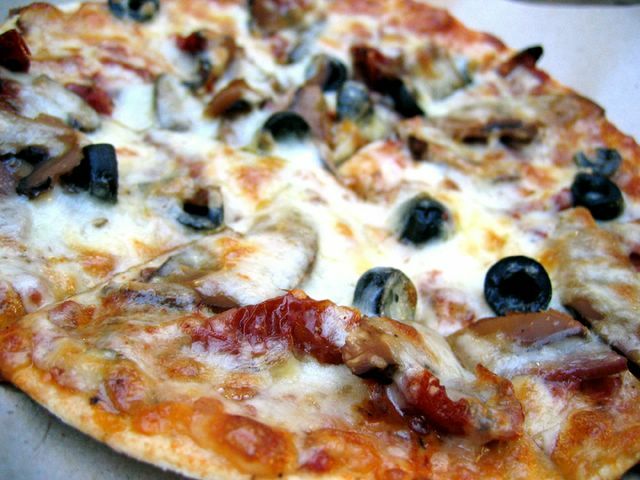 Have you eaten thin-crusted pizzas at hawker centres? No, make that GOOD thin-crusted pizzas. And I do mean the authentic Italian kind. I don’t know who’s Devon or who’s his daddy but I sure know that this is the place to look if I’m looking for a reasonably priced delicious thin-crusted pizza! Where’s it located? Chomp Chomp Serangoon Garden Food Centre. 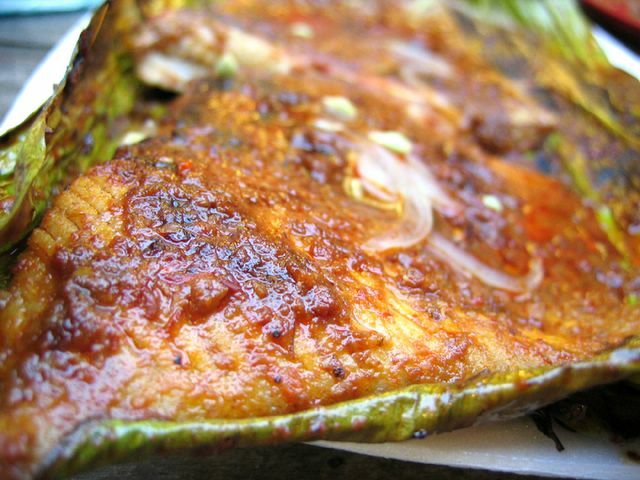 Apparently this is one of the best places in Singapore to find good and cheap food. I found out that alot of the tenants from the now demolished hawker centre at Botanic Gardens can be found here. 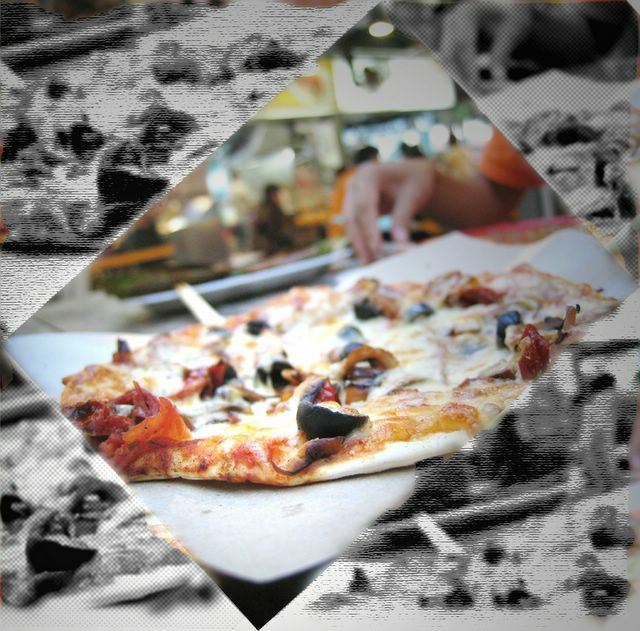 You have the liberty to choose any 4 toppings ($5 for a regular sized pizza and $12 for a large). I chose olives, sundried tomatoes, pepperoni and shitake mushrooms. What’s my verdict? Uber-delicious. The portions were generous and I liked the amount of cheese he put! Ohhh.. check out the chilli. Oo-la-la. Are you drooling yet? I love the satay sauce! Thick and full of peanuts. Yea, very sinful but very yummy nonetheless. This dinner at Chomp Chomp was extremely satisfying and by the end of the meal, I just knew I had to come back again and try the pizza another time. Who’s with me? Hi, I think it’s Serangoon Garden Market that many Botanic Garden hawekers have relocated to. That’s where the famous Char Kuay Teow is too. The peanut ice kachang from this place called Hai Ding (I think) is really quite good. So is the satay from this stall that puts pineapple sauce in it. 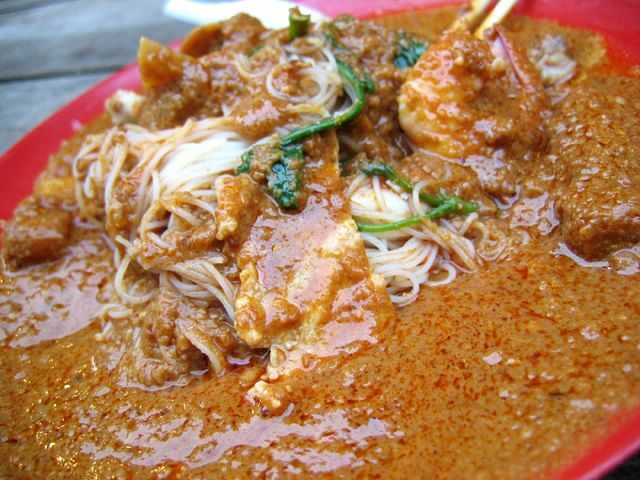 But skip the Rojak – soggy and not nice. I’m with you! I’ve been to Chomp Chomp a few times but never dared to try the incongruous pizza. Glad it turned out well! i have tried that before already.. and glad u finally tried it! I personally find it quite nice..just that more ingredients can be added. hee..
Chomp Chomp is one of my fave food centers with those silky yummy beacurd. :)Try it too. Hi saw your food blog and i gotta say…You are quite a foodie!my kinda person! haha Sounds DELISH! Know how to get there? My frens and I have been wanting to go there but heard that it is a bit inacessible..